The final version of Xcode 4.1 has been released as a free download to everyone via the Mac App Store. 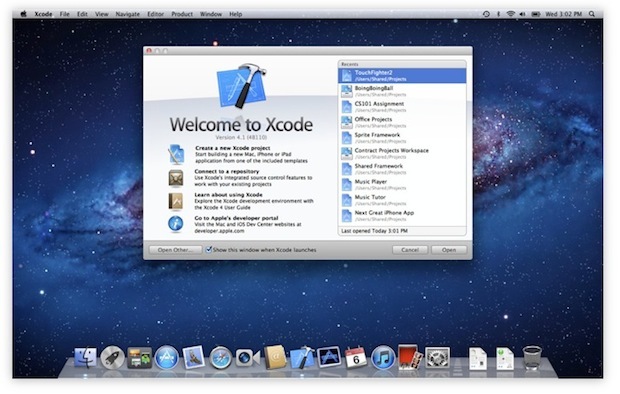 Mostly for developers, Xcode is the Mac OS X-only development environment for creating OS X and iOS apps, but the package also includes various useful command line tools, and even an iOS hardware simulator, making it a worthwhile download for power users as well as developers. Before you get the latest version of Xcode though, you will need to download Mac OS X Lion and complete that installation. Prior to this release, Xcode cost $4.99 to download. If you have ANY interest in installing unix ports, MacPorts, Homebrew, etc, you have to get Xcode too so that you can get gcc. Today it feels like christmas!!!!!!!!!!!!! What about those of us who have Xcode for iOS5-beta-3 installed? Is this version iOS5-compatible?